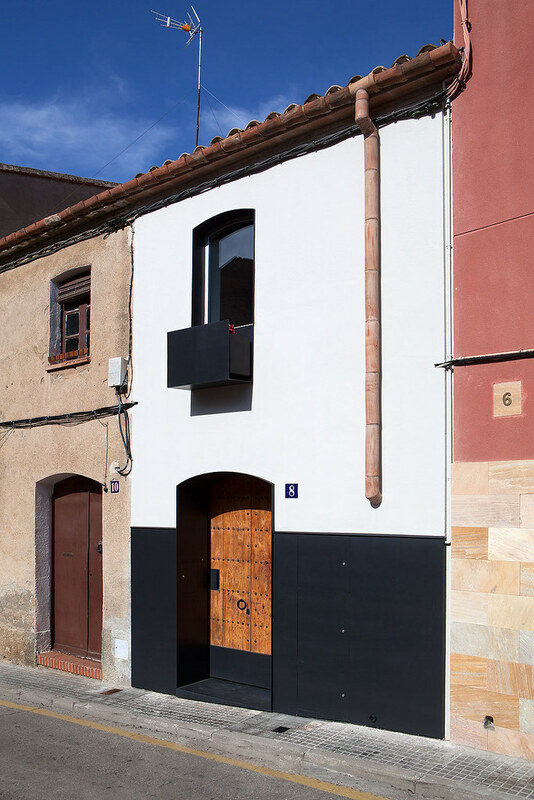 Viladecavalls is a small town in the province of Barcelona with just over 7,000 inhabitants and outstanding architectural, artistic, industrial and natural heritage. 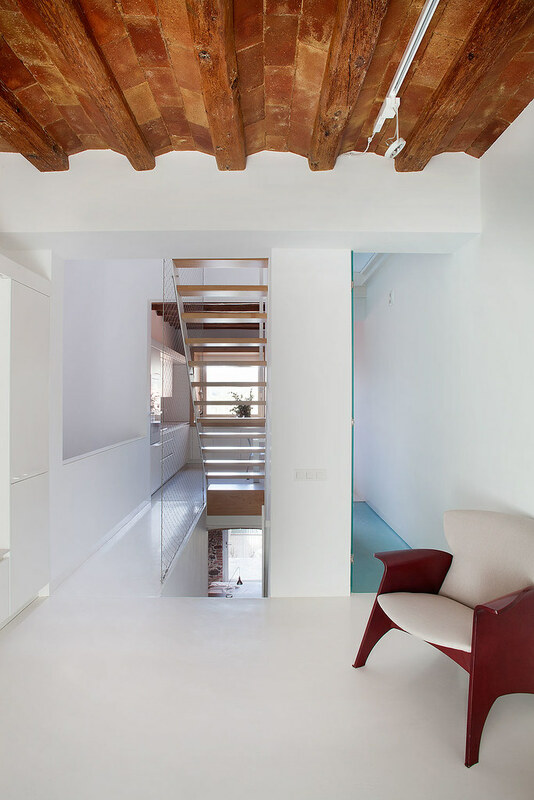 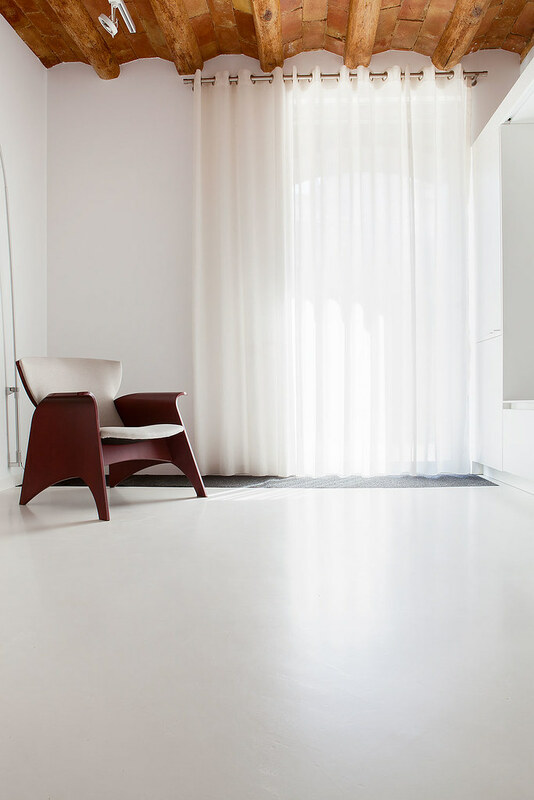 This charismatic modern family home was completely renovated due to deterioration by Spanish architectural studio Cabra Diaz Arquitectes. 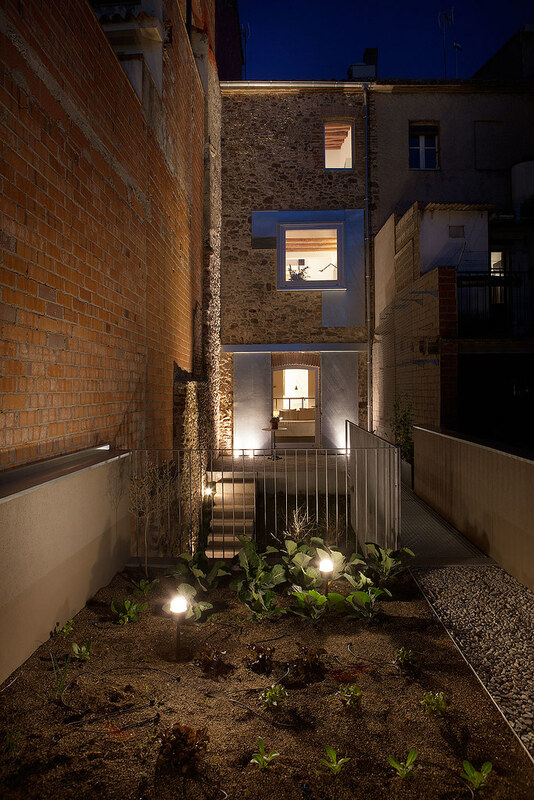 The house, surrounded by the other two, which dates from 1900 originally had the first floor and the basement, which was used as a warehouse. 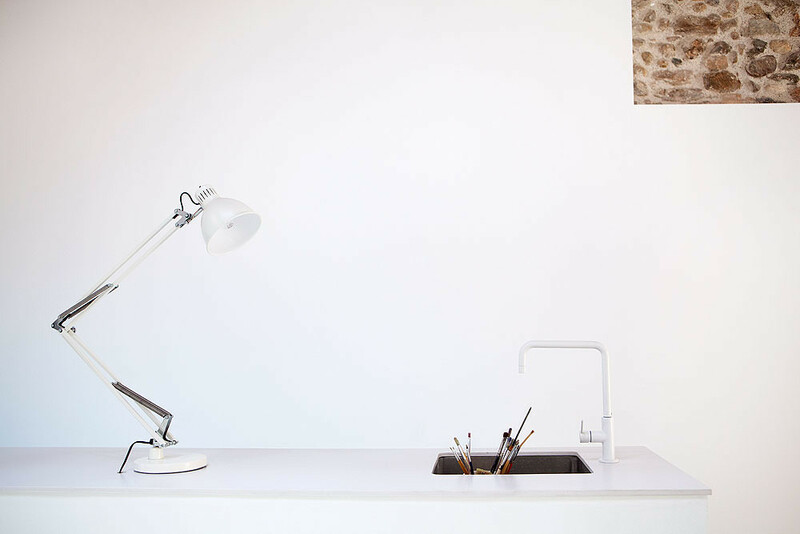 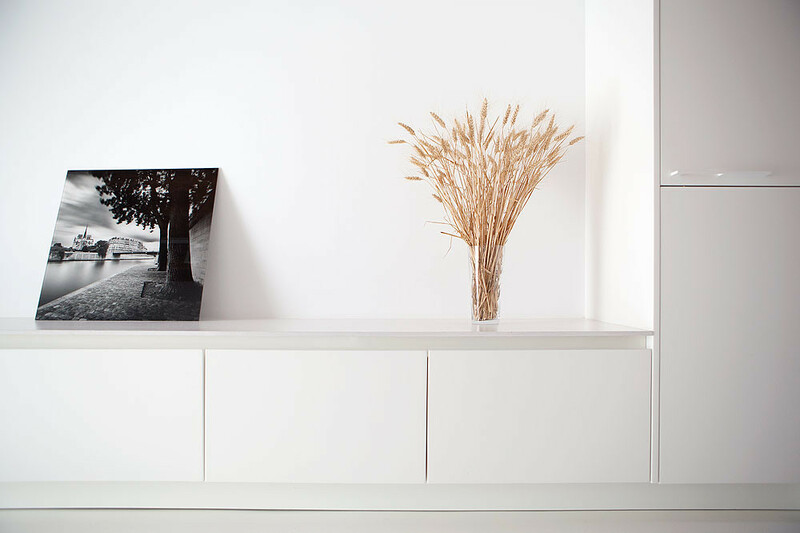 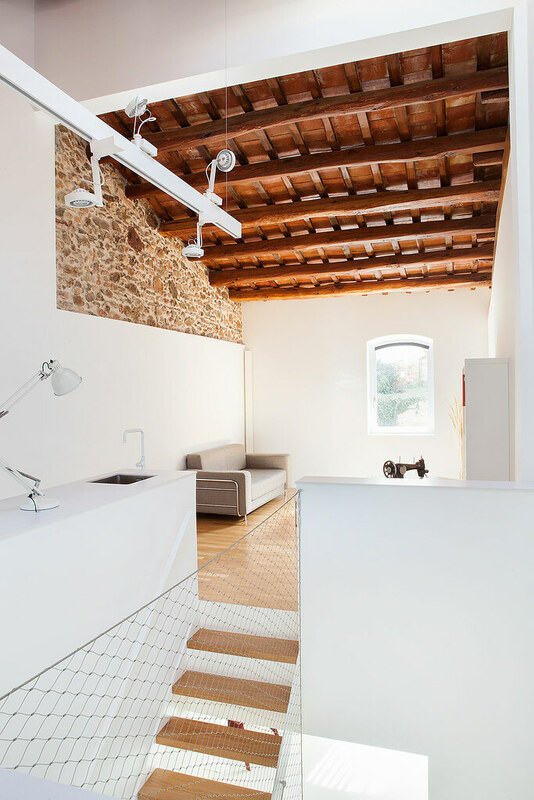 The new project has kept some original elements and materials with composite interest, adapting them to a new use, and distribution of spaces with the intention of making a sober, modern interpretation of a typical farmhouse. 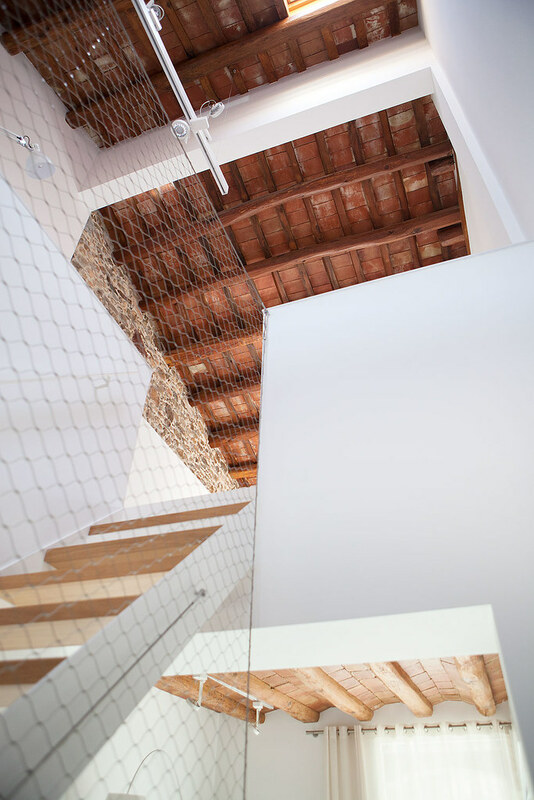 — explains the architects Oriol Cabré i Vert and Silvana Díaz i Garcia, responsible for rehabilitation. 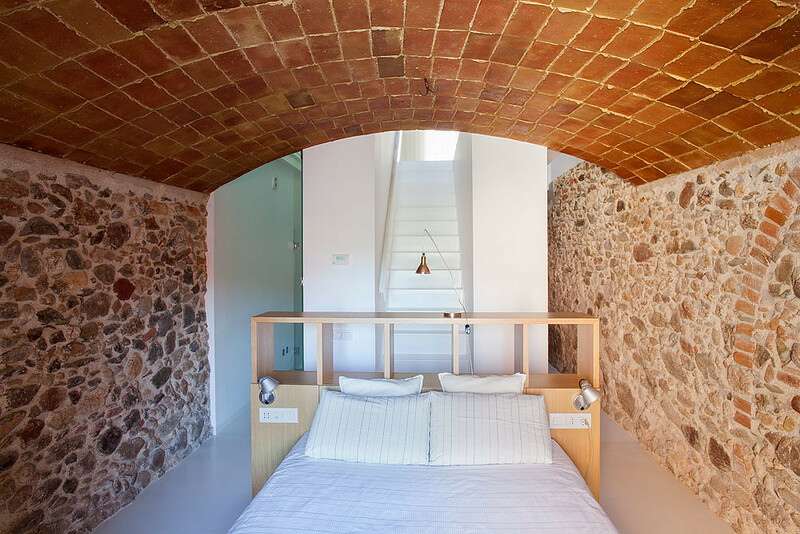 Thus, the biggest problem was to put the bedroom in the basement, while preserving the beautiful Catalan vaulted ceiling, as well as the placement of the movement axis and the bathrooms in the center of the plant. 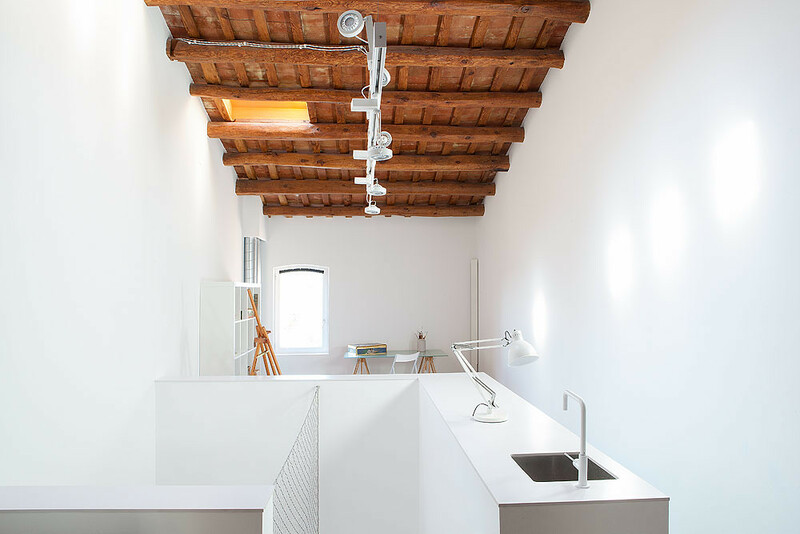 So it was possible to achieve the space organization as efficiently as possible, taking into account the size of the house. 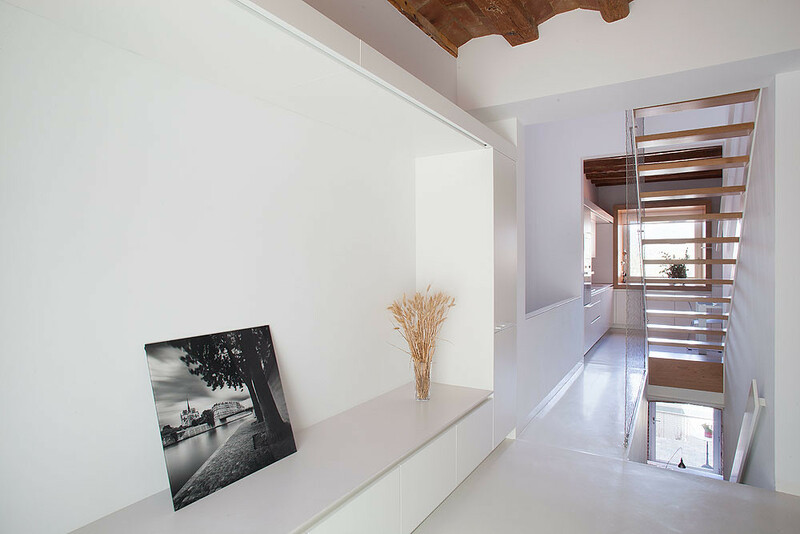 Now natural light can reach the interior spaces of the plant through a slit in forged and clearcoats. 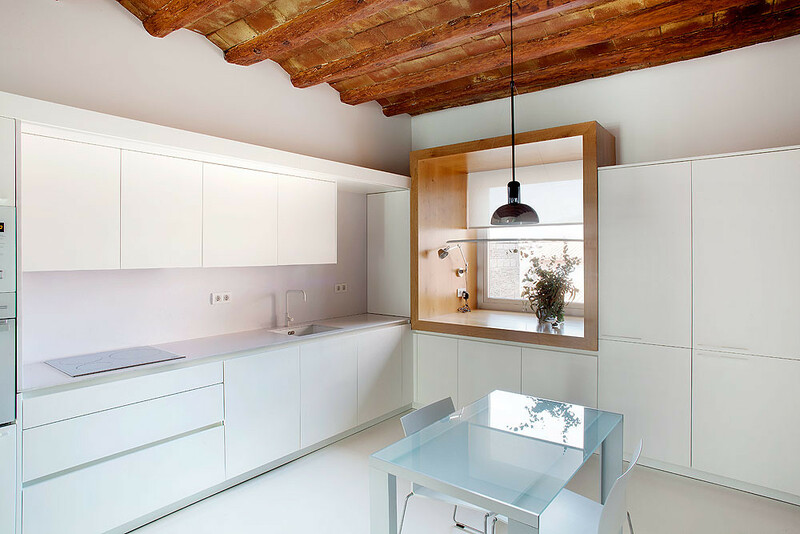 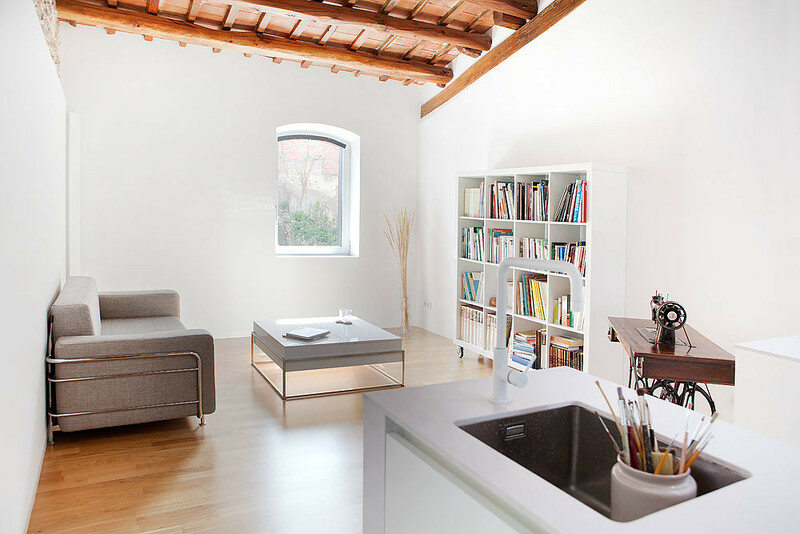 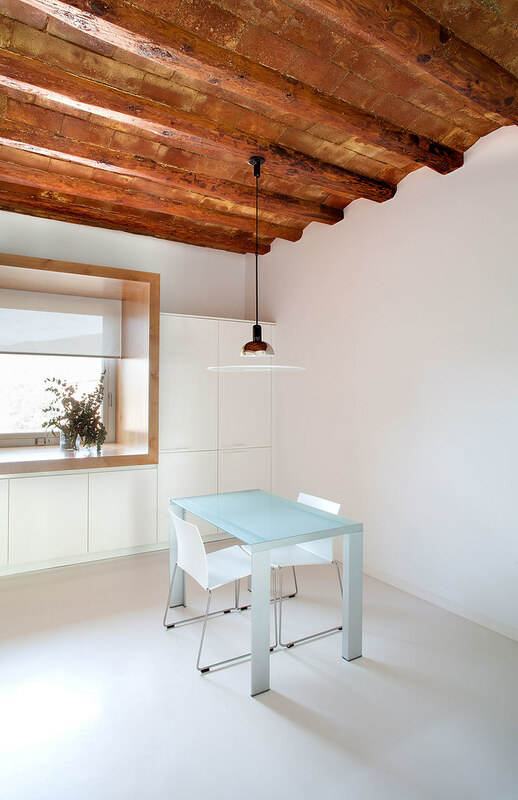 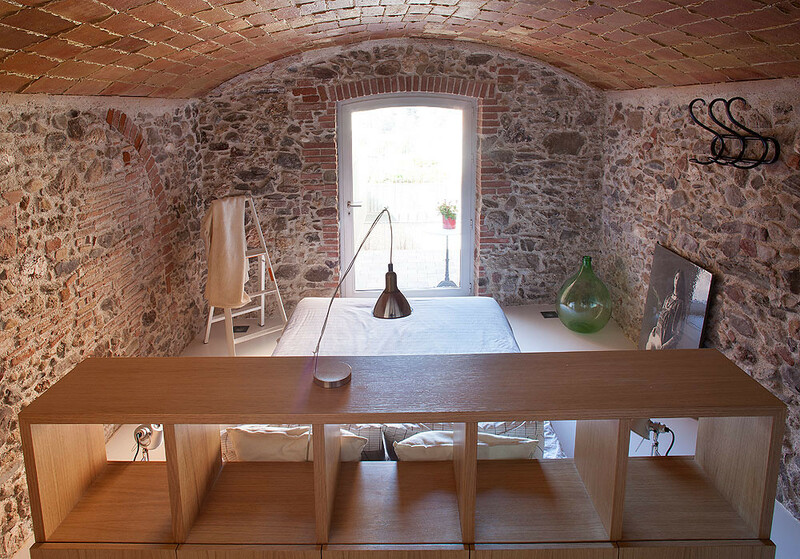 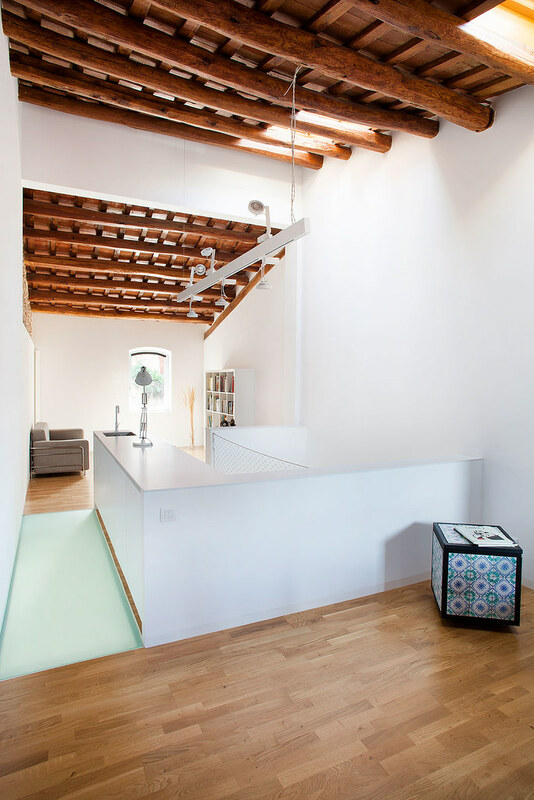 The white color covering the inside of the body creates more brightness when mixed with intensive warm wooden texture beams and brick ceilings, wooden floor and fragments of stone walls. 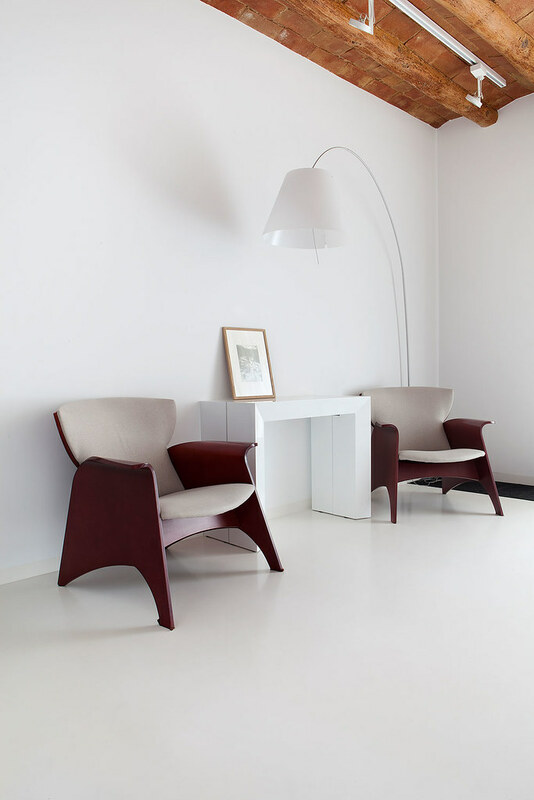 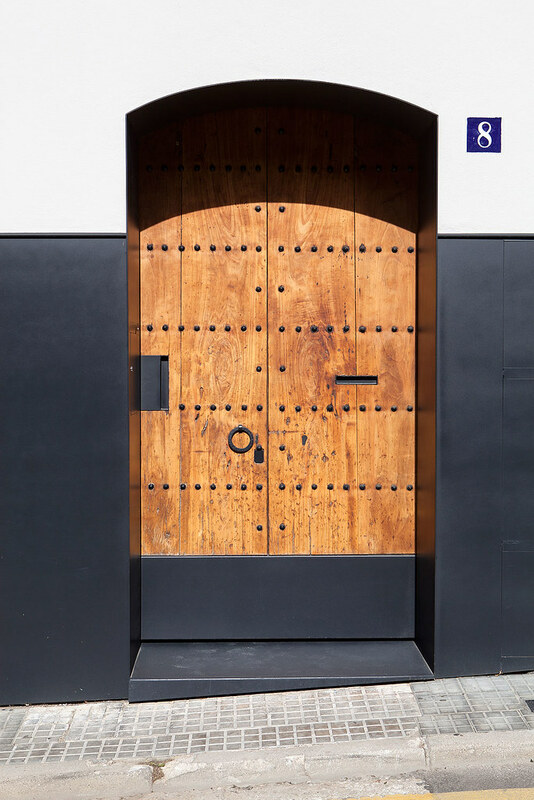 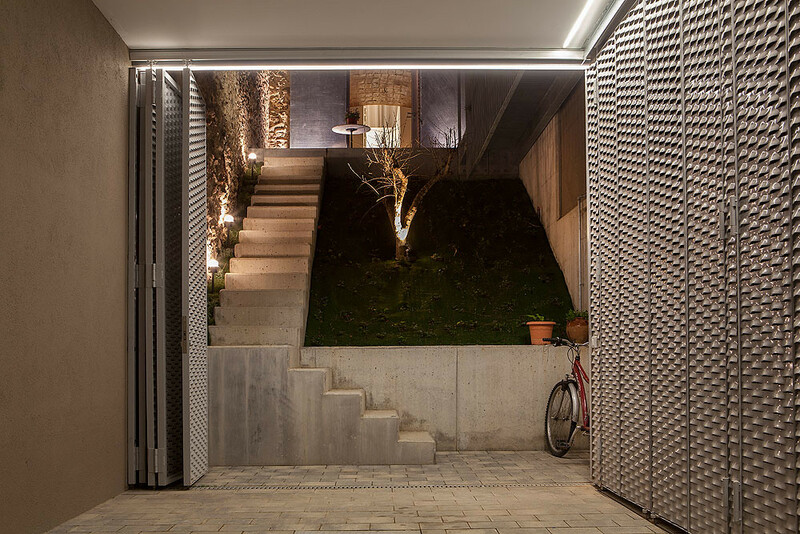 Despite its apparent simplicity, the house was filled with detailed parts on three floors, starting with the modern intervention in the facade and the entrance gate. 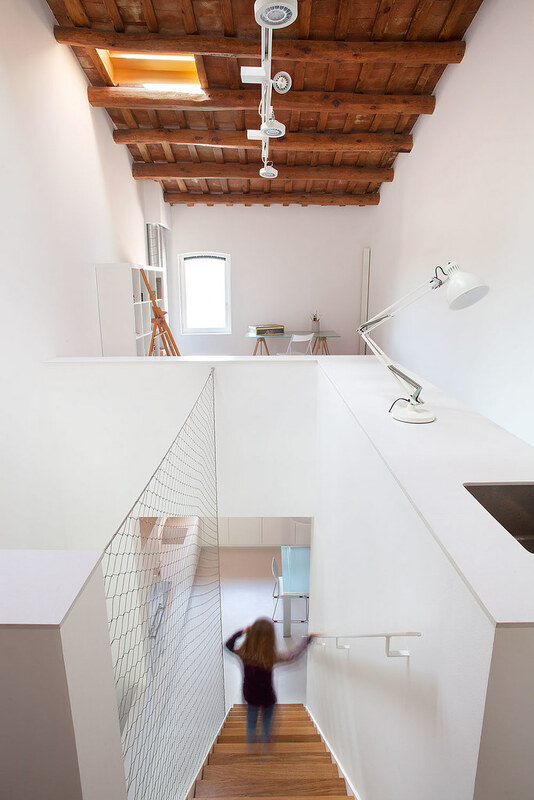 There is a staircase inside the house without riser minimally blocking the passage of light through a metal grid.